Note: You can create this algorithm in Cinema4D, Houdini, Maya, etc. Houdini scene is available for anyone interested. 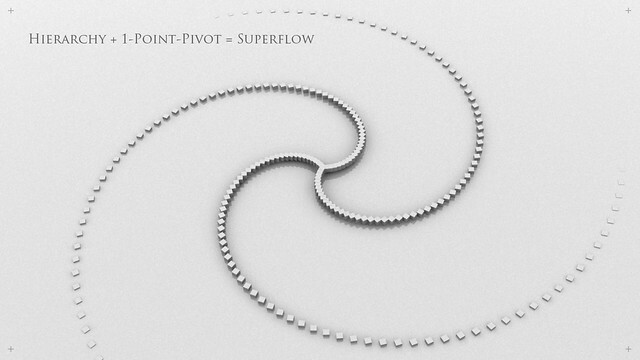 Send us your Superflow scene if you have it working with other software than 3ds Max. Submitted by Cheesus on Wed, 2011-03-30 19:29. Here is a link to an active download, I couldn't download from the link sent from the v-motion website, I believe other people are having problems too. Just started playing with it, amazing, love it. Great work!